There are a lot of group-process methods out there, but I’ve always had a soft spot for something called “action learning.” If you don’t know anything about it, I don’t blame you. In fact, not knowing isn’t the problem…the problem is people assuming they know, but they actually have no idea what you’re talking about. Having been involved in action learning for many years (and becoming a certified coach, and writing my dissertation on it), I can say, with some authority, that there are some problems. The problems though are not with the method. I love the method. I think it’s great. (learn more here). The problems are with how we talk about action learning. In fact, I think there are four overlapping issues with action learning that I want to share. I think many of these issues are shared with other methodologies as well. The first problem is the roller coaster problem. 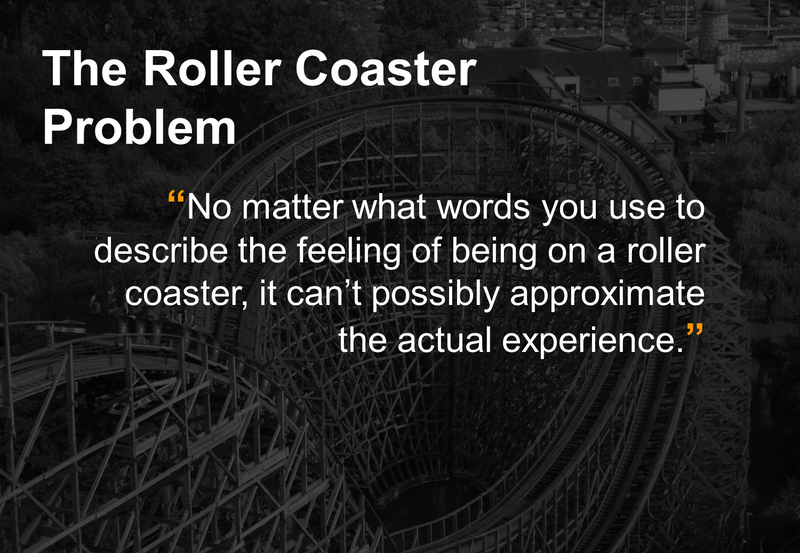 I call it the roller coaster problem because no matter how many words I put to describing what riding a roller coaster feels like, you still won’t really know what it is like until you experience it. The solution to this problem is almost always to have people participate in a program themselves. Obviously, this makes it hard to spread the word about action learning. All we can do is spread the experience. In fact, usually we’d always provide a demonstration whenever we are introducing an audience to the concept. Obviously, this doesn’t make it easier to share the power of action learning outside of word-of-mouth, which so far has worked pretty well (….so far….). Yes, in fact, the Michael Jordan I was referring to was Michael Hakim Jordan. Michael-Hakim Jordan was unfortunate in that his name is shared by the greatest basketball player of all time. No doubt this has caused a lot of confusion and teasing for him, in fact in 2010 he officially changed his name. Well, unfortunately “action learning” cannot change its name so easily. 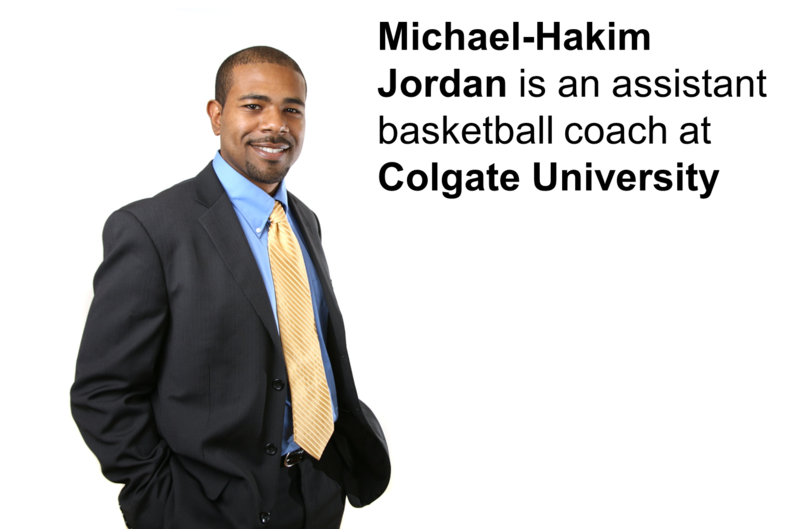 But like Michael-Hakim Jordan, action learning was born with a name that has caused a lot of confusion. Reg Revans coined the phrase “action learning” in the 1940s to describe the process he was using, but since then the words “action” and “learning” are used so much that they’ve lost their resonance. 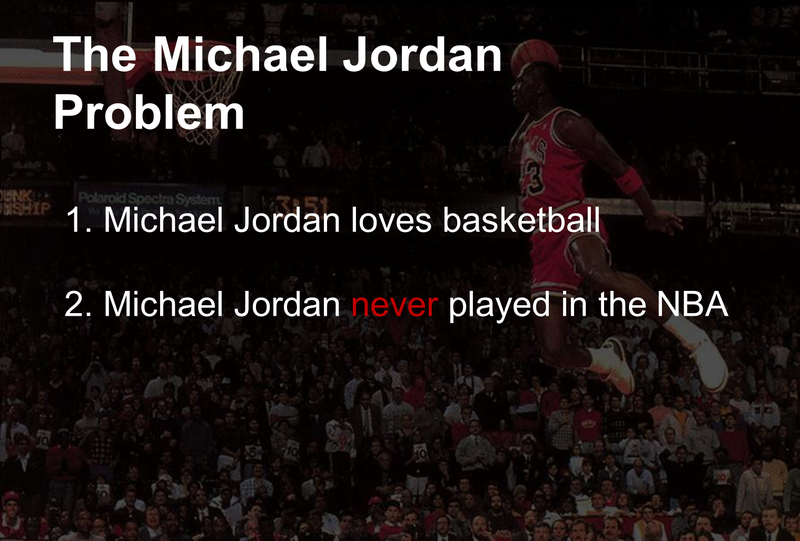 Personally, I don’t think that the Michael Jordan problem is not going away. “Action learning” simply doesn’t catch your ear. So there is a branding issue that I think the World Institute of Action Learning helps resolve, but the issue remains. From previous experience, people often think of “Active learning” or “project learning” when they hear “Action learning,” which just causes all sorts of confusion. The third problem is what I call, “the two rabbits problem.” This applies to action learning because the methodology does two things simultaneously….it improves learning AND it improves performance. This is a good thing, but clients aren’t usually accustomed to that type of methodology. They tend to think that an intervention is EITHER a problem solving tool for business results and innovation OR it is a learning and development tool. It can be difficult to convince them that the real value in action learning is not just that it does BOTH of these things….but that it does both of these things simultaneously. On a more practical level, decisions about purchasing innovation interventions versus leadership development interventions are often made by two different people. 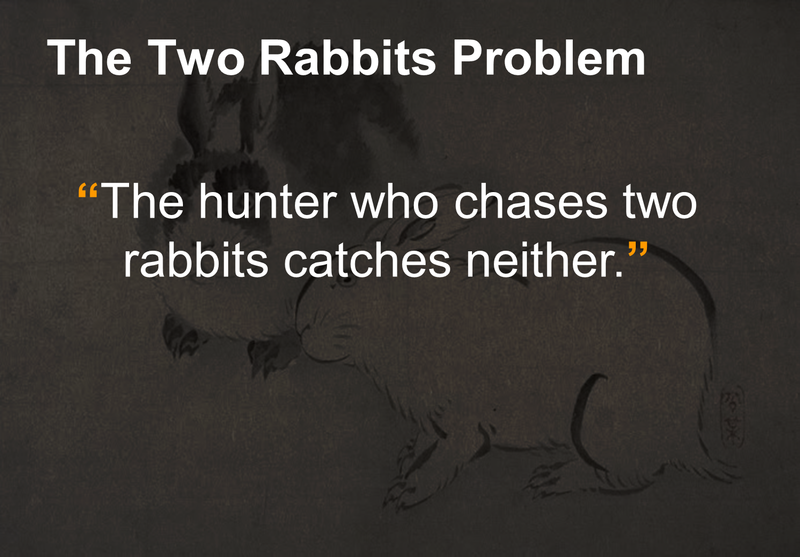 My solution to this problem is based on observation….and it’s the same advice I would give the hunter in the situation….he needs to pick one of the rabbits. In this case, I suggest that you should start with learning and development. This may be because learning and development is more of my area than say “business process improvement,” or “design thinking,” but from what I’ve seen you can position action learning as a comparable learning intervention to instructor-led training courses, case-studies, coaching, and other leadership development interventions. Now, there are plenty of examples of “business action learning” or problem-focused action learning in which the purpose is solely to create new ideas and solutions. In this approach learning is often considered a secondary outcomes or not considered at all. That is fine too. It just depends on who is using it and what they are trying to achieve. I would argue that the true value proposition of action learning, as compared to other problem-based or project-based learning approaches, is much easier to describe when you are talking about organizational development or leadership development interventions. Although I should note that, historically, research bears out that balancing learning and problem-solving tends to yield better results for BOTH rather than focusing on just one. Finally, we have the “Frosted Flakes” problem. 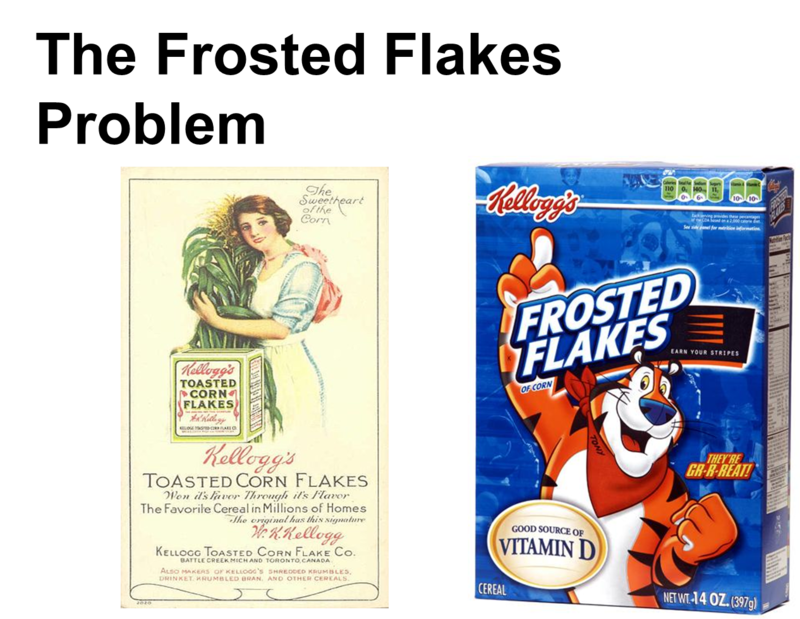 In the early 20th Century, ready-to-eat cereals were developed as a health food to replace heavy breakfast foods like sausage, eggs, coffee, and biscuits. They were to help patients recover in hospitals, but over time they developed into sugar-coated treats for kids. The Kellogg brothers of Battle Creek Michigan, who helped developed the ready-to-eat cereal wrestled with this issue from the very beginning. People want to be healthy but they also want something that tastes good. John Harvey decided to develop the medicinal cereals, while his brother, William decided to purpose the commercial market by adding sugar and flavor. This same dynamic shows up in action learning. Action learning can be a transformative practice, but not everyone or every organization is ready for transformation. Change…especially significant change doesn’t necessarily taste very good. It requires vulnerability and discomfort. It may require you to challenge some deeply held assumptions. So, we try to sweeten it up. So, we take the real, unique, and powerful value of action learning and we “sugar it down”…by reducing it to nothing more than project-based learning. We talk about project work and the real solutions that will be generated and we shy away from being honest up front….this might not be the best intervention for you. And I want to be clear here…I am not saying that it’s bad to use frosted flake approaches to solving problems. If they work well and give people what they need, then that’s fantastic. The problem I’m talking about it…is when tell people they are buying something that is good for them, when in fact they just bought some candy. The problem I’m talking about it when we conflate action learning with project-based learning, because we think it will be easier for people to understand. When ironically, the actual impact of that sales strategy is that it often makes action learning HARDER to understand. So, a lot comes down to how much critical reflection the action learning program demands. I would argue that if you completely take out the critical reflection piece, then that is fine, just don’t call it action learning, please just call it “project-based learning” instead. So, that’s my rant for now. Four problems and four ways that they impact our ability to talk about these really interesting transformational methodologies. I don’t have a lot of wisdom about how to offset them, but the first step is just acknowledging them. Or as an old professor of mine used to say “problematize” them. *special thanks to myself for recycling slides from a presentation I gave last year. Very good points Chris, and well written ! From my experience, the name issue is the most critical one when talking about Action Learning with business people. In addition to not being very catchy as a name, it doesn’t really solicit interest or curiosity as people assume they ‘know’ what action, and what learning, means …. Exactly. That is why I really applaud people who come up with their own branding for it…but also are transparent that it is a form of action learning. I don’t think it is a problem to solve, but a problem to manage. And we need to be prepared to manage it whenever we talk about action learning or related methodologies. I appreciated your article and agree with each of the four points that you made about Action Learning. I am impressed with how you used such powerful metaphors to make each of your very astute points. But then your article referenced “the” action learning method and linked only to the WIAL site. Thanks for the thoughtful — and non-defensive — reply. Would you mind if I posted your reply in LinkedIn’s IFAL group? Your original post was put in there. Your response was so meaningful, that I thought I’d include it in IFAL, if you are OK with that. @ Carter…of course! That would be great. Thanks for sharing it. 🙂 I should probably join that group. lol. What a great discussion here! I am inspired by the objectivity and openness. Action Learning’s core principles and practices could be applied without naming it Action Learning, especially embedded in leadership and change workshops. When a certification is offered or one has to ‘sell’, then that is a different case. We get into a situation where we need to ‘defend our action learning’ against all others. I have learned so much and transformed my life in a way, by practising action learning in everything that I do. The inquiry based a non judgemental attitude and the ability to step out and observe makes a big difference! Thanks Chris, Carter and others for this great discussion. Thanks for your comment Jayan! Agreed.